Pastor James Hollandsworth was born and raised in Chicago. He met his wife Leslie at Liberty University, and they were married after graduating in 1986. They have seven adult children. Pastor Hollandsworth worked in various financial capacities at a Fortune 250 corporation in Chicago for several years prior to being called into the ministry and also served as Financial Director for Biblical Ministries Worldwide, a mission board in the Atlanta area. 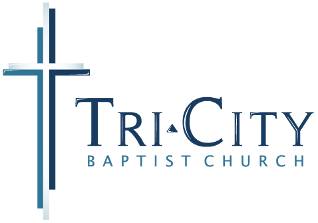 He has pastored since 1997, becoming the Pastor of Tri-City Baptist Church in 2012. Pastor Hollandsworth holds a B.S. degree in Finance and a M.A. degree in Biblical Studies.